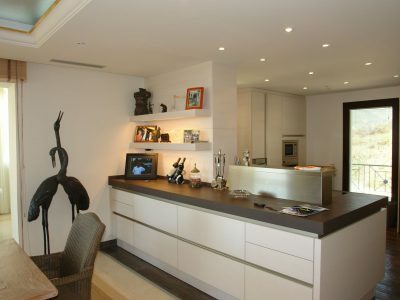 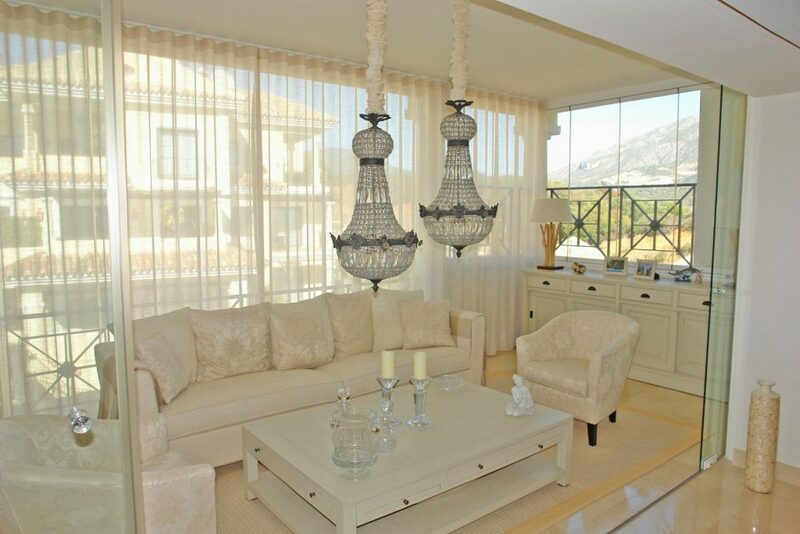 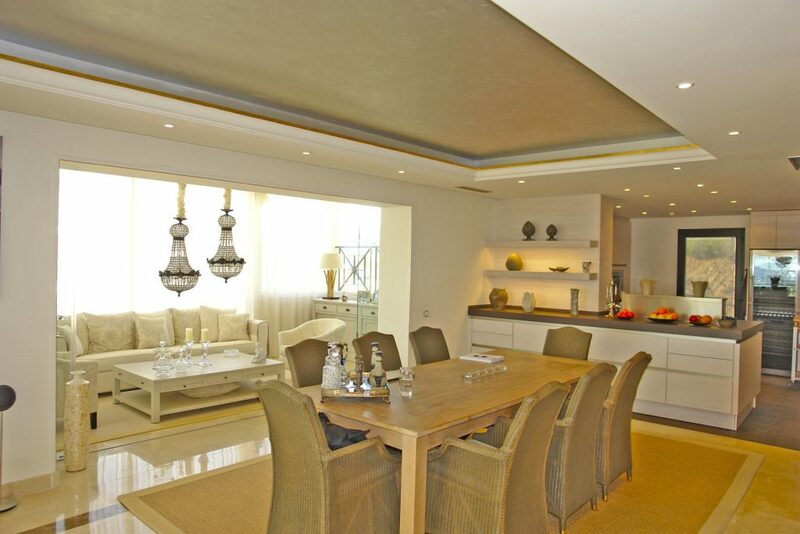 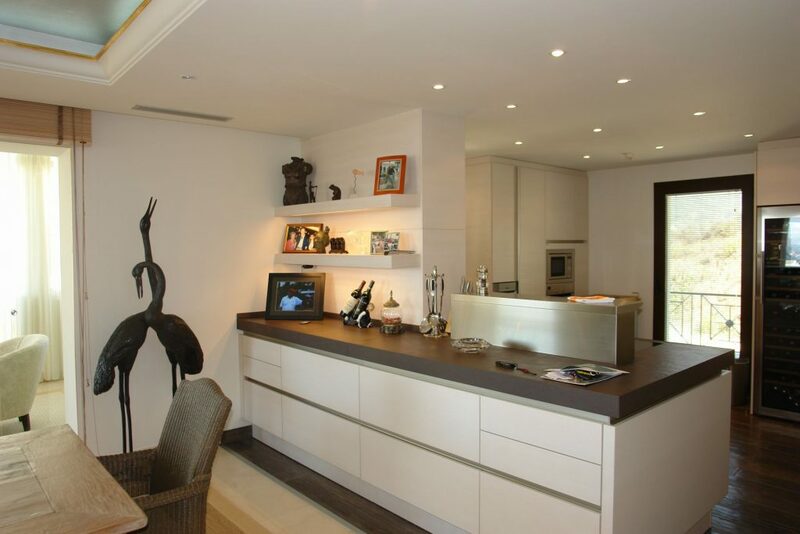 This superb penthouse is located in a sought after urbanisation approx. 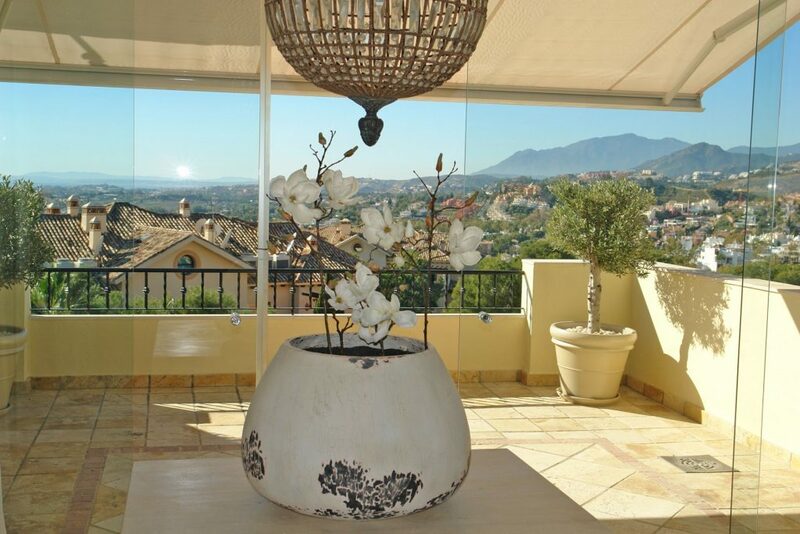 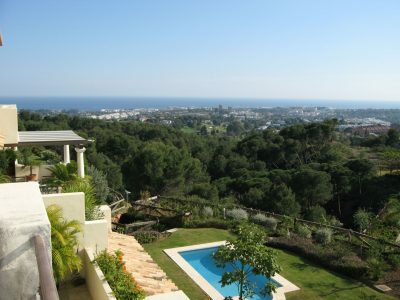 6 km West of the centre of Marbella. 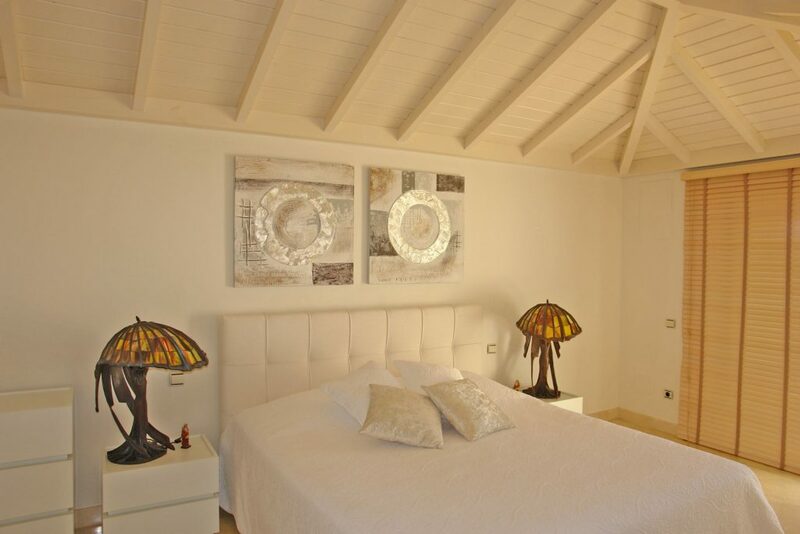 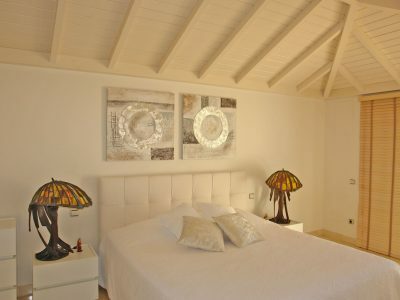 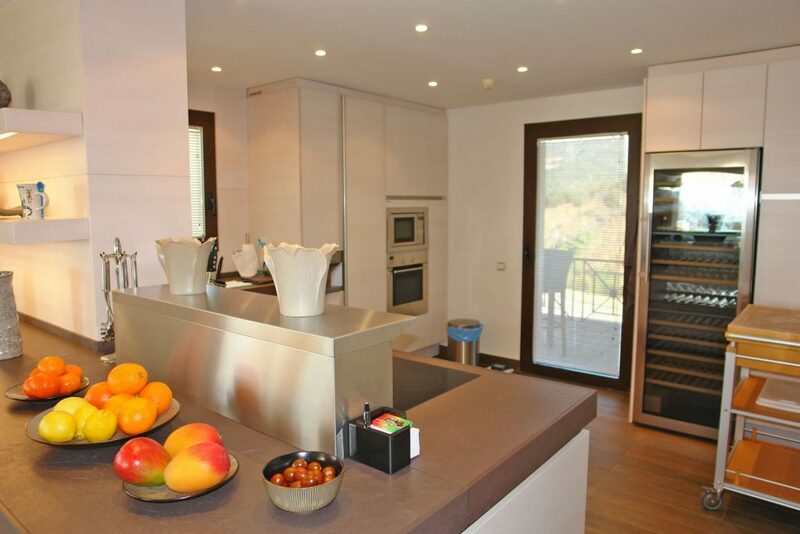 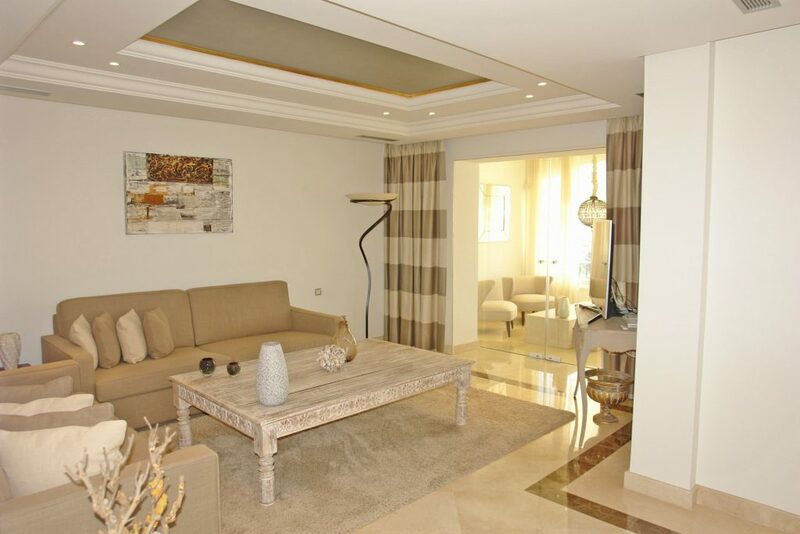 The harbour of Puerto Banús and the lovely beach are within a few minutes’ driving distance. 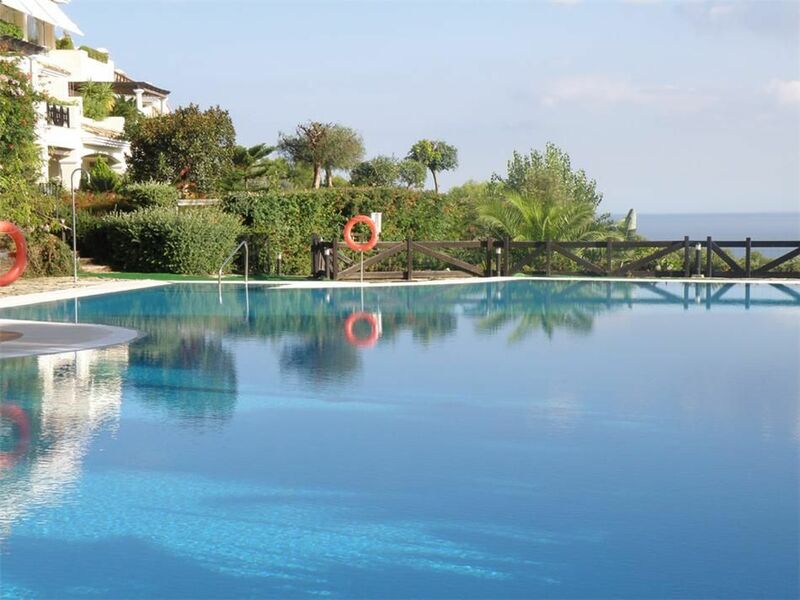 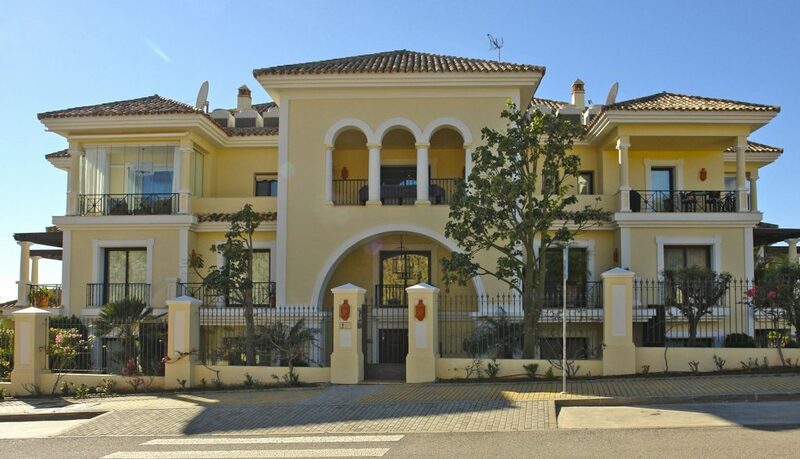 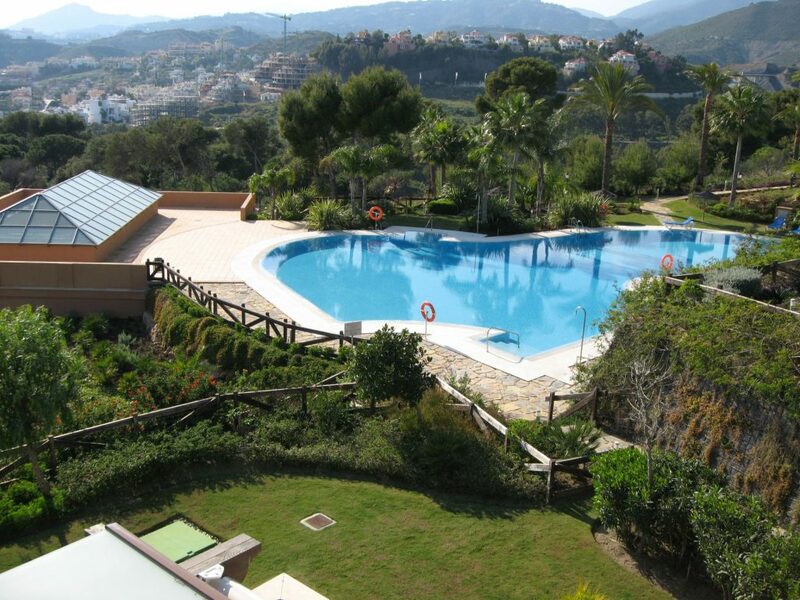 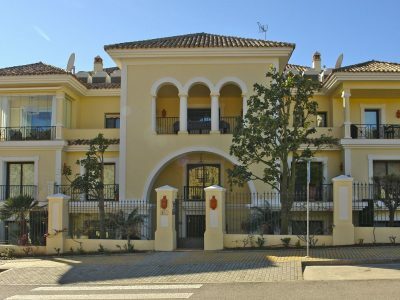 Numerous golf courses, shopping facilities and restaurants are nearby. 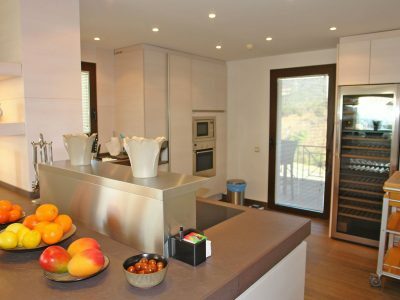 The floor plan is as follows: Large entrance area, open living/dining area with integrated fully fitted kitchen with modern appliances, huge bedroom and large bathroom en suite, 1 further guest bedroom with bathroom, guest toilet on the upper level. 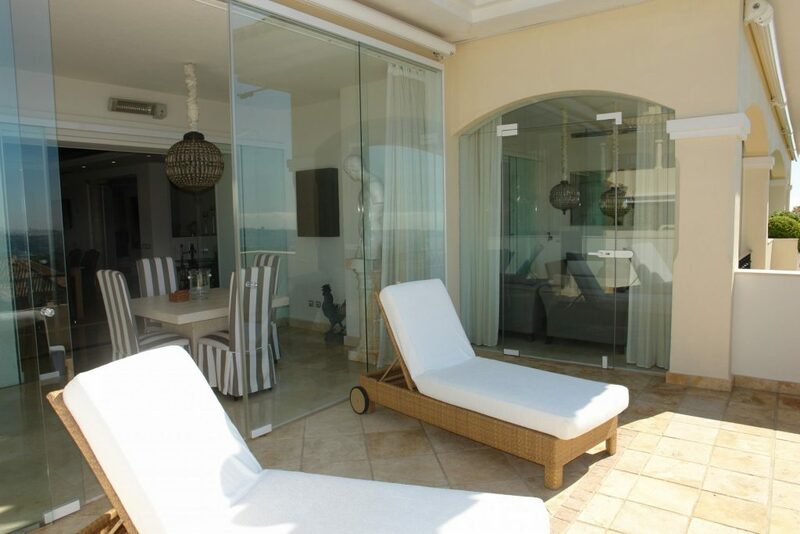 The cosy terraces have been partly closed by glass curtains that slide open and the terraces have been integrated into the living area increasing the living area by almost 100 sqm. 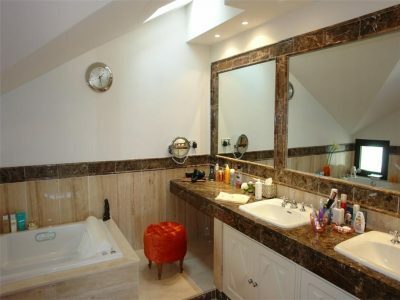 Further characteristics are: marble floors with inlays, marble bathrooms, floor heating, lift, Sat TV, air conditioning warm/cold, alarm, 24 hrs security service. 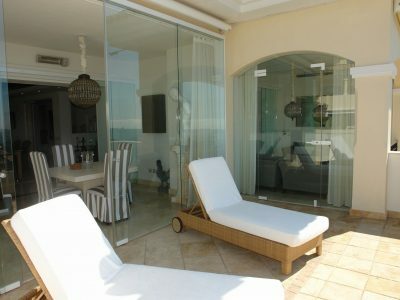 The property includes 3 underground parking spaces, 1 storage room and a garage for one golf buggy. 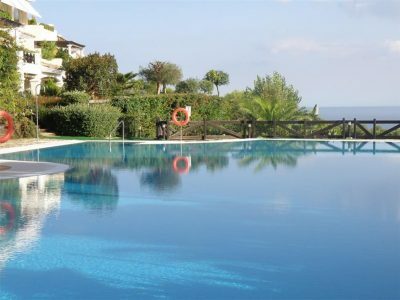 The Mediterranean style community garden has subtropical plants, waterfalls and a beautiful pool. 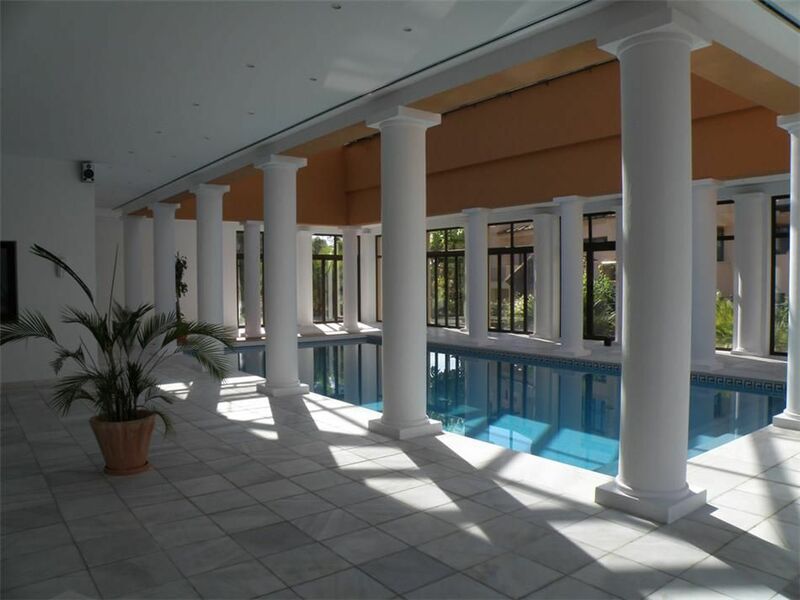 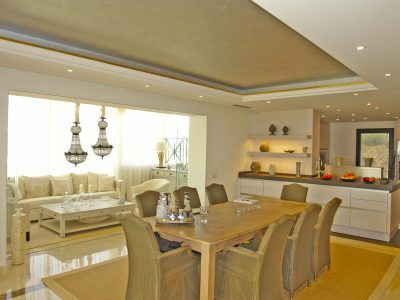 The owners of this luxury penthouse can also use the community heated indoor pool with Spa and gymnasium.